Telephotography (taking high magnification photographs) is now easier than ever to enjoy using Opticron telescopes in conjunction with SLR & D-SLR cameras. In this system the camera lens is substituted for the telescope and coupled directly to the SLR camera body using either a telephoto adapter or an eyepiece+photoadapter combination. T mounts, available for nearly all makes of SLR cameras are also needed to connect the scope assembly to the camera body. The chart below shows the current range of telephotoadapters and photoadapters available to enable you to convert your Opticron telescope into a long focal length telephoto lens. Notes. Focusing is facilitated on the telescope. Camera may need to be operated in 'MANUAL' mode with shutter locks disengaged where necessary. The high magnification to aperture ratios result in slower shutter speeds compared with conventional telephoto lenses so ISO400+ settings are suggested when using D-SLRs. 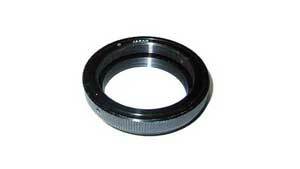 For 35mm SLRs 400/800 ASA film is recommended. 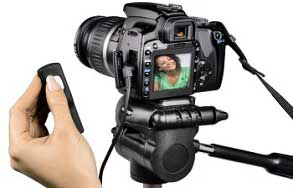 If possible use a cable release or remote control to reduce camera shake when operating the shutter.